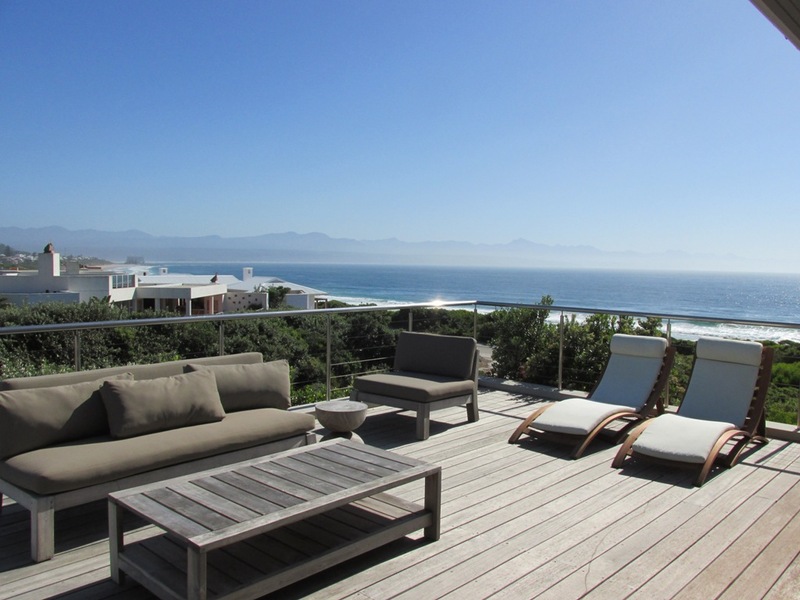 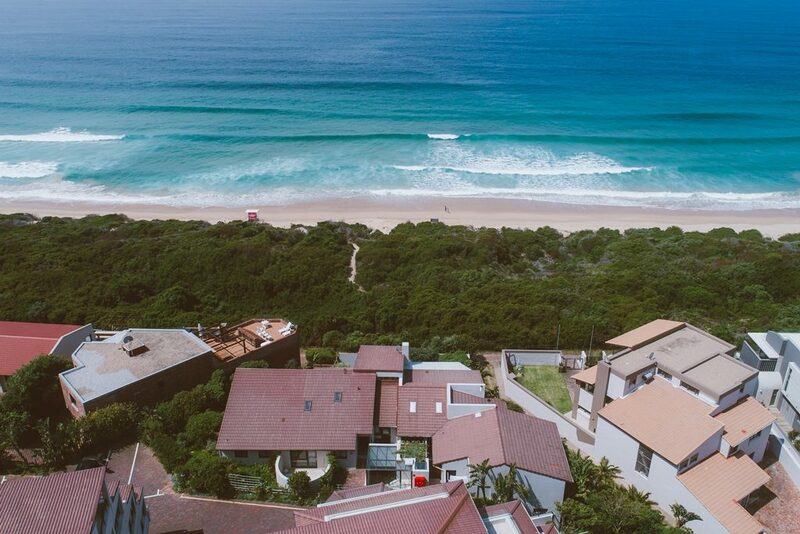 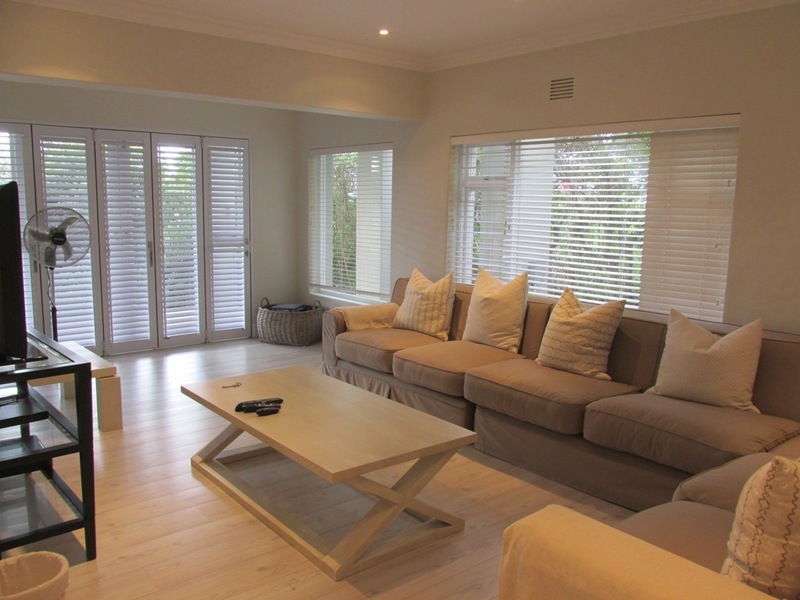 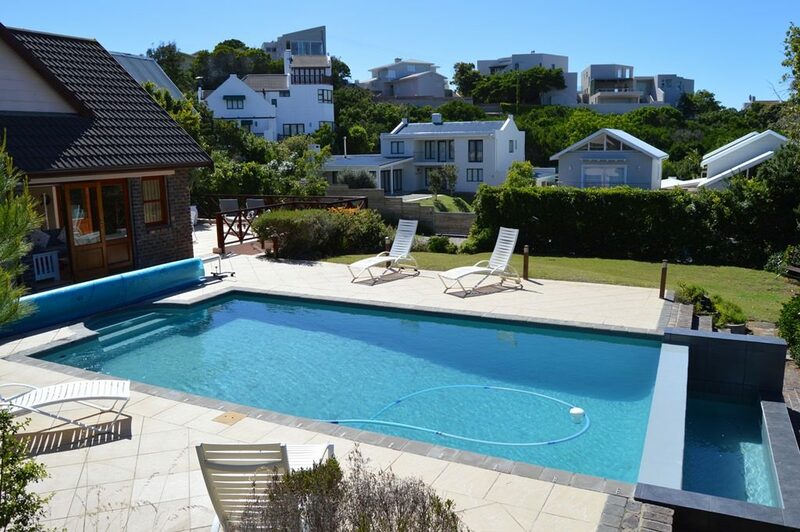 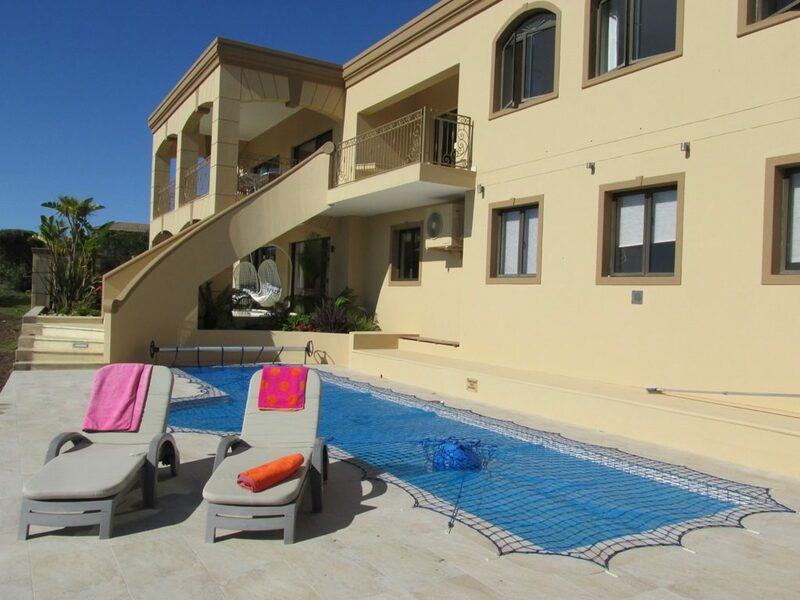 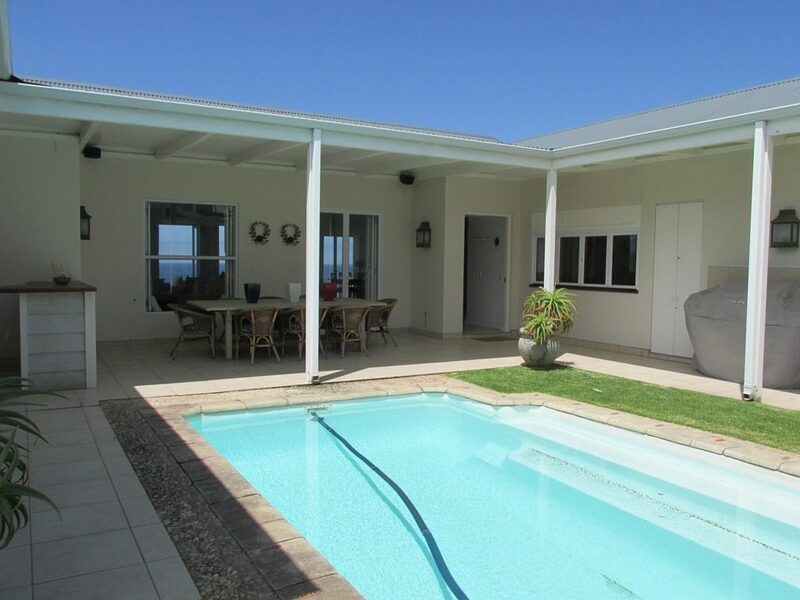 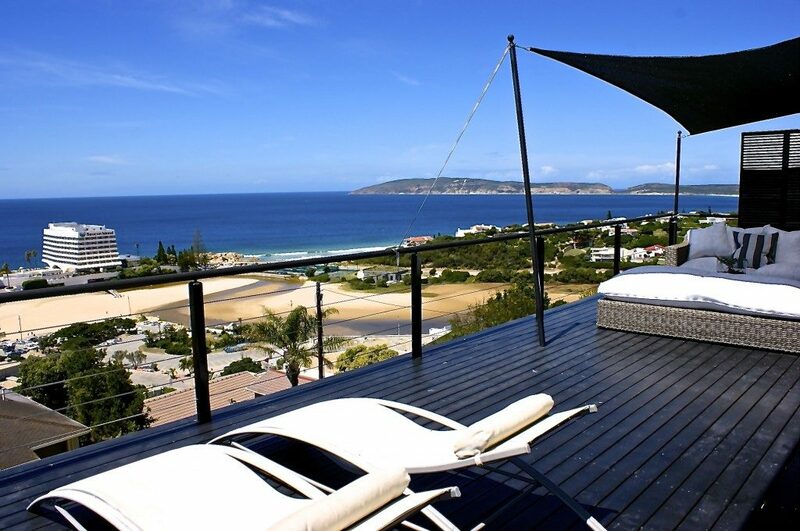 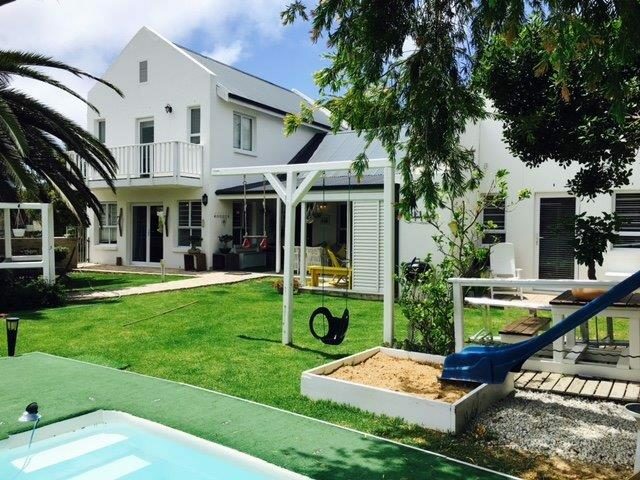 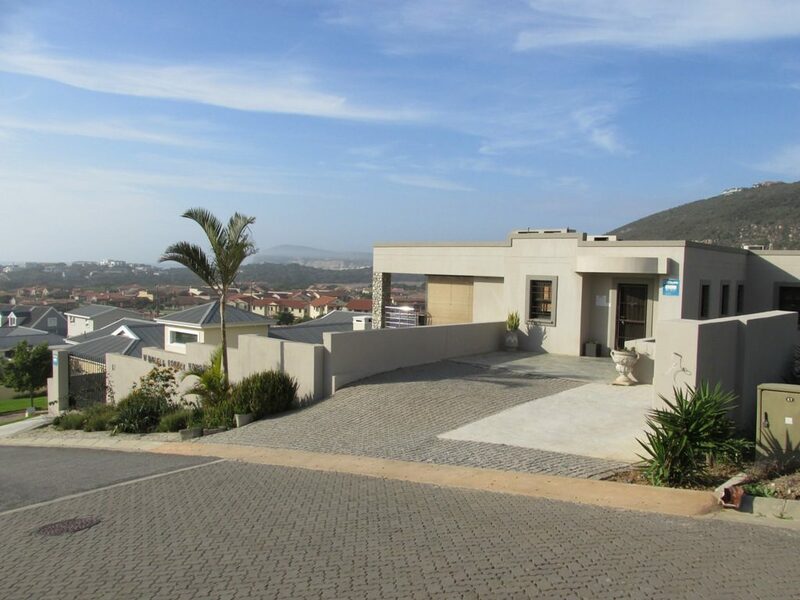 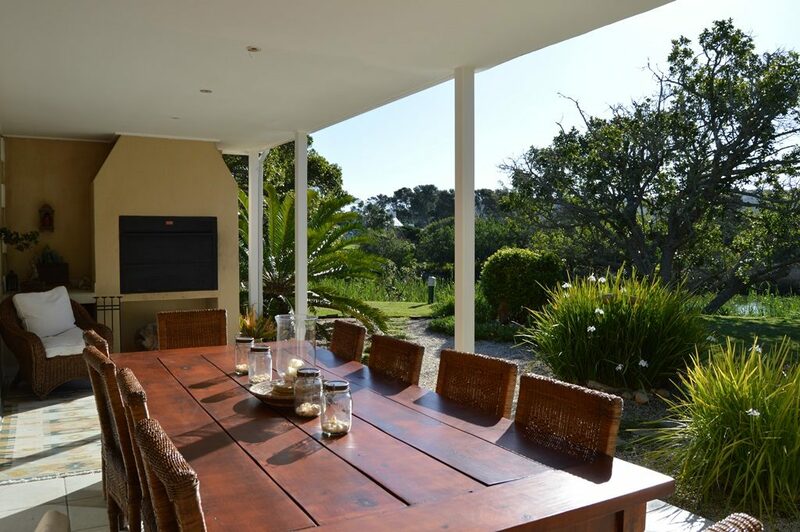 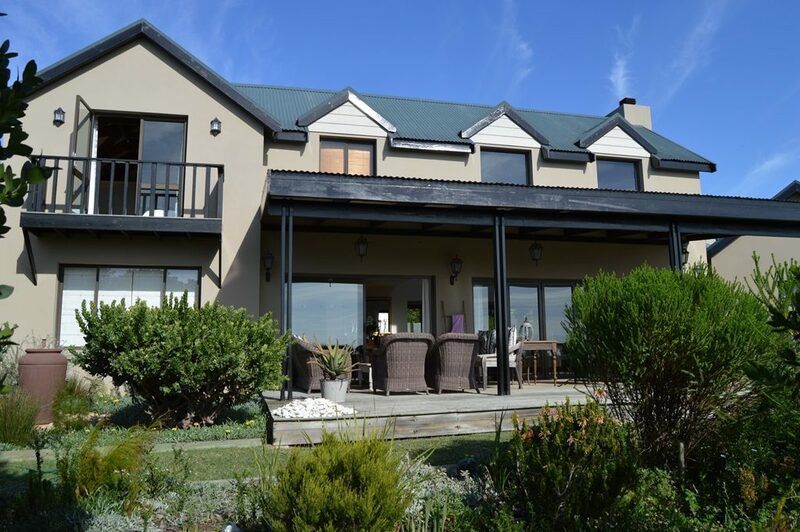 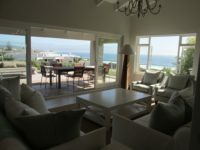 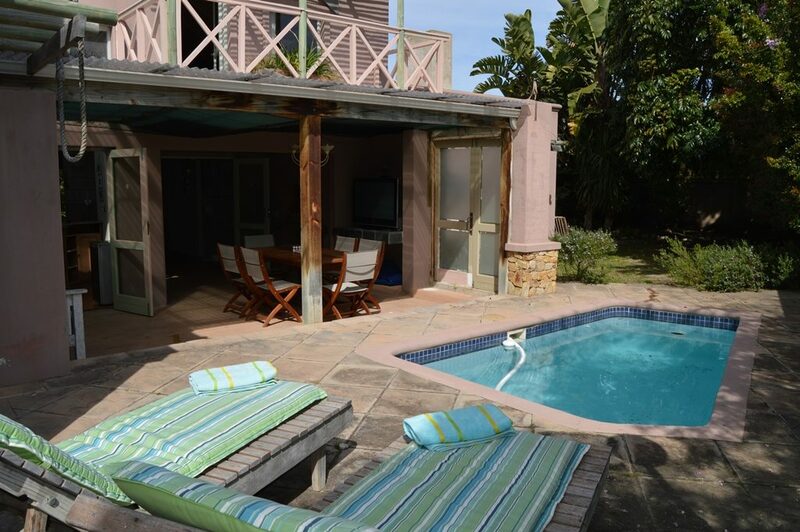 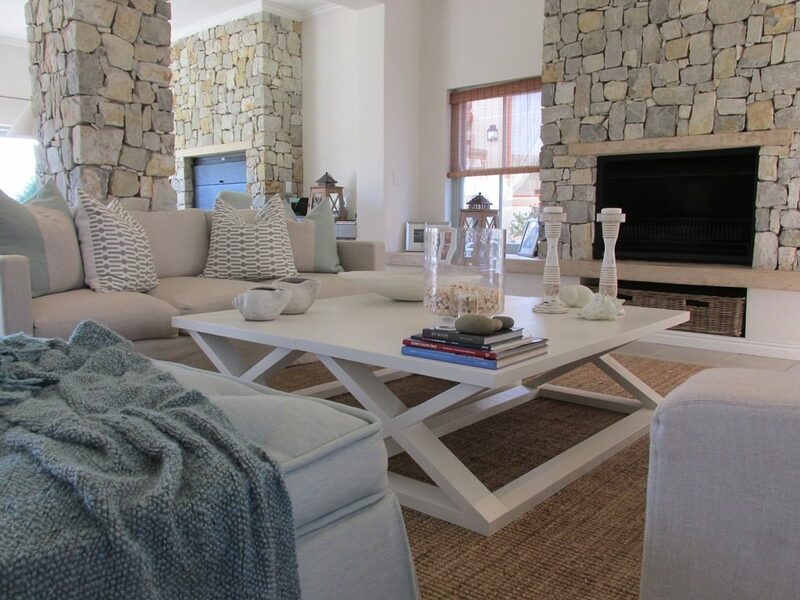 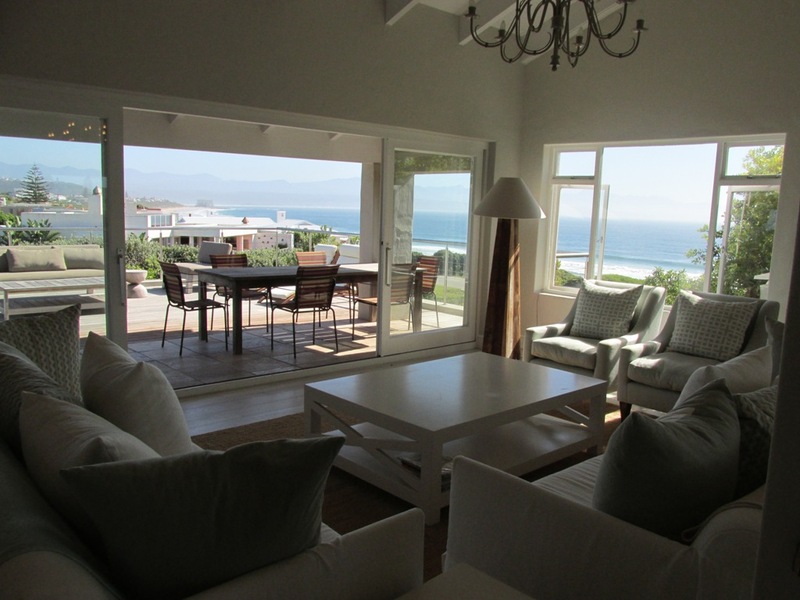 Modern & upmarket home with stunning views from almost across the road from Robberg Beach – less than 50 meters. 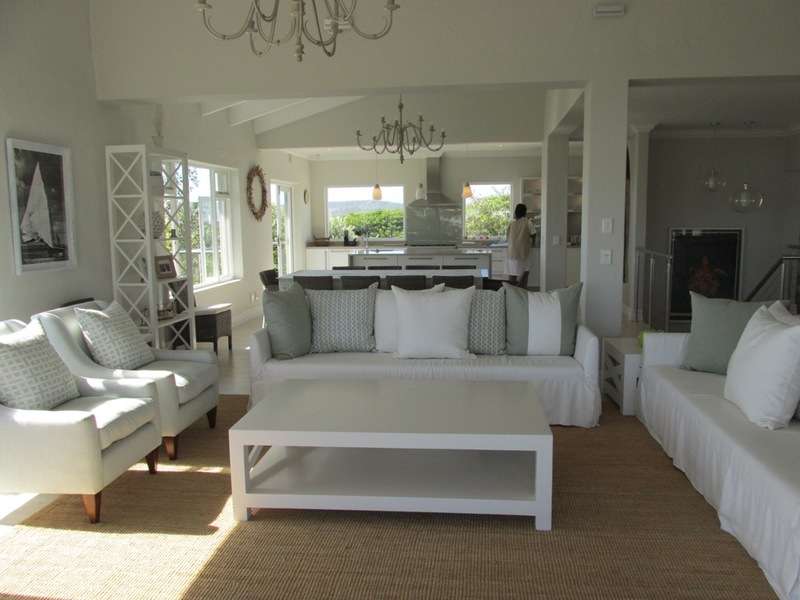 UPSTAIRS: Spacious double-volume open-plan living area with two lounges (one TV lounge and fireplace) and another for more formal seating, dining area (seating 10) and modern well equipped kitchen – all with views. 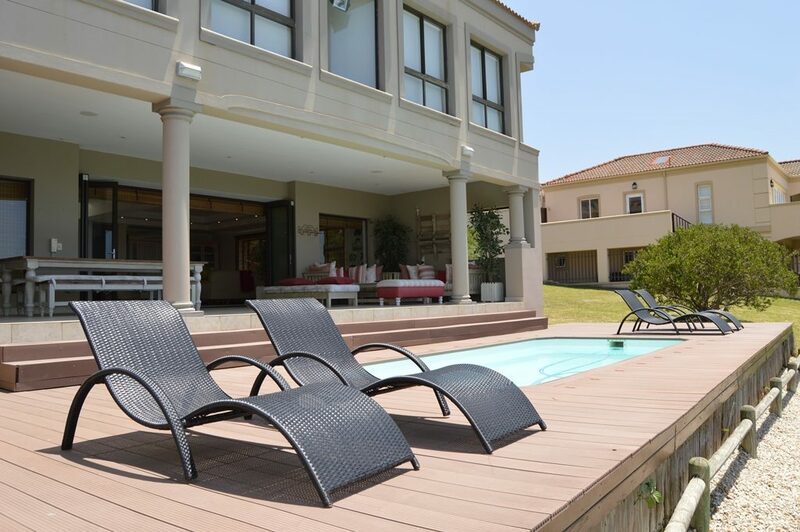 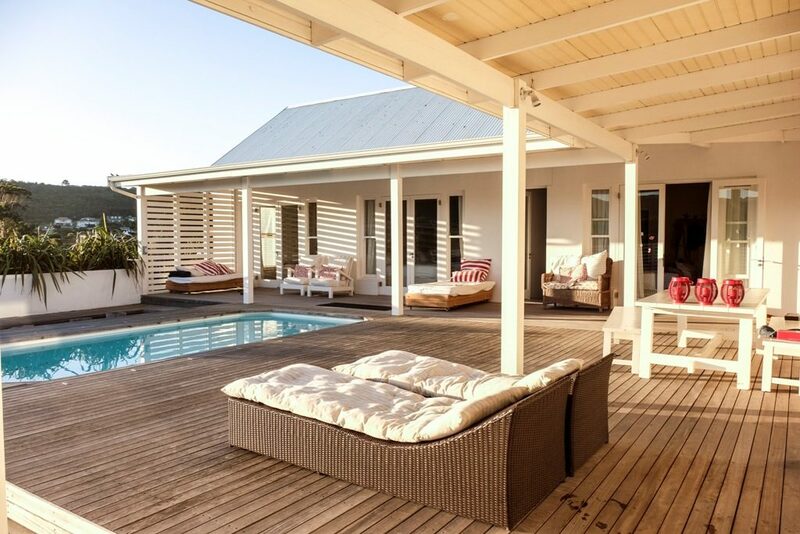 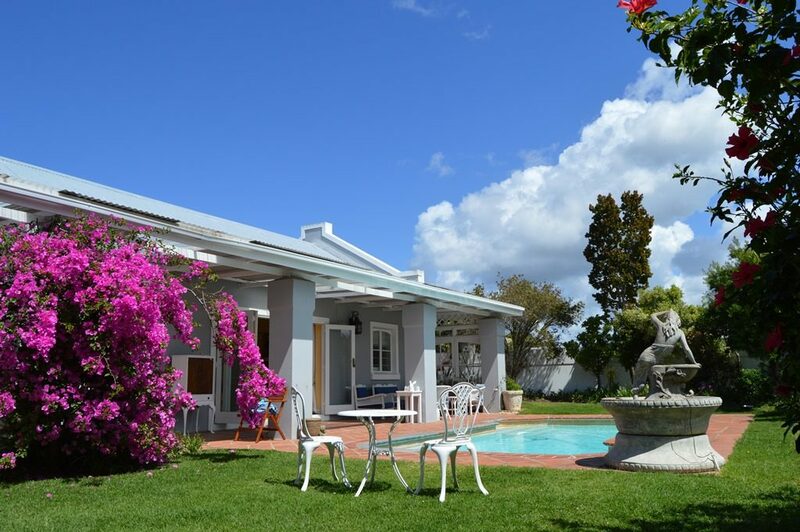 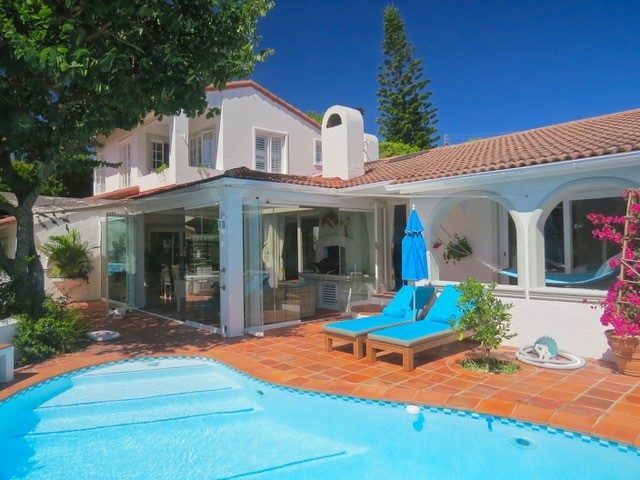 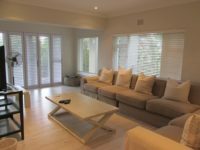 Glass doors lead onto the large decked patio which has outdoor furniture as well as a gas weber braai and X2 sun loungers – all with lovely views. 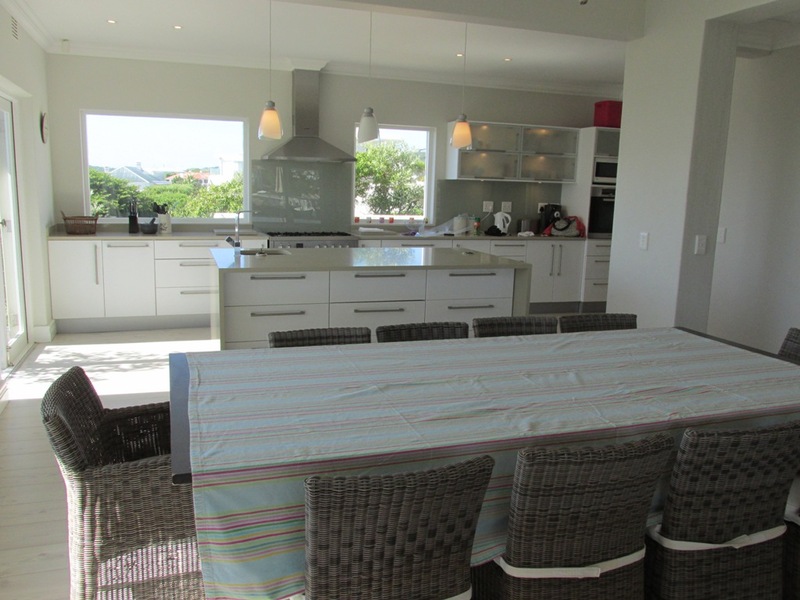 The kitchen is well equipped with a separate scullery. 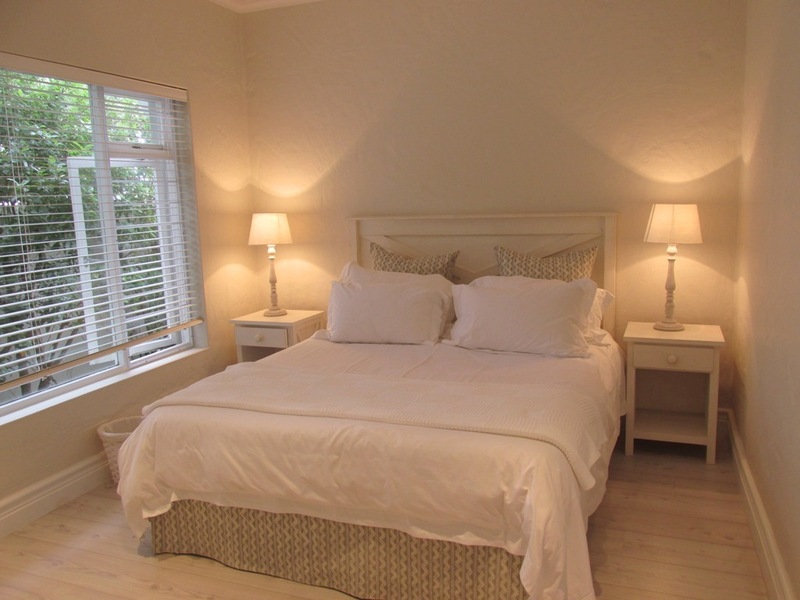 The main bedroom is upstairs and remaining bedrooms are downstairs. 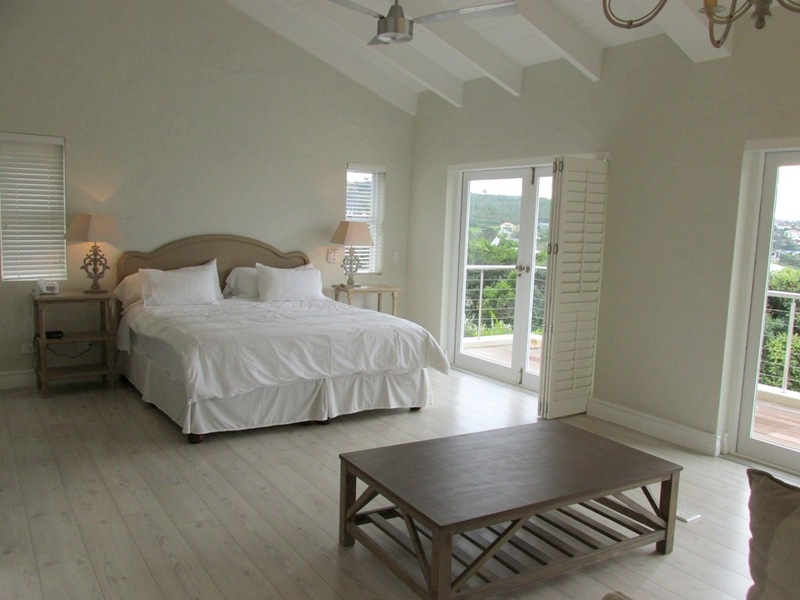 There is a guest toilet upstairs. 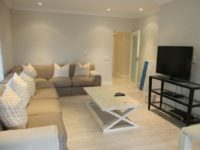 There is another TV lounge downstairs. 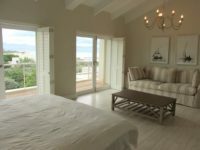 Main: Spacious main bedroom with King bed, views and doors to patio. 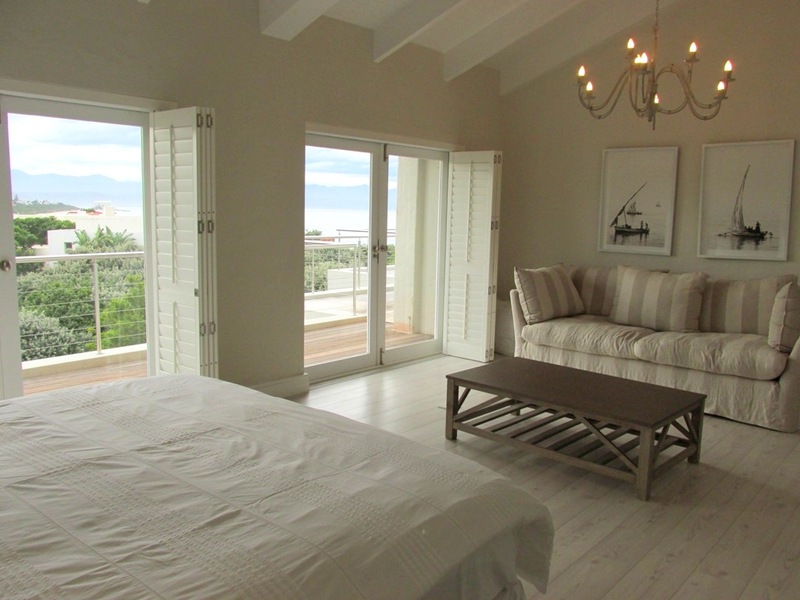 Full en-suite bathroom (toilet, bath and shower) with a dressing room. 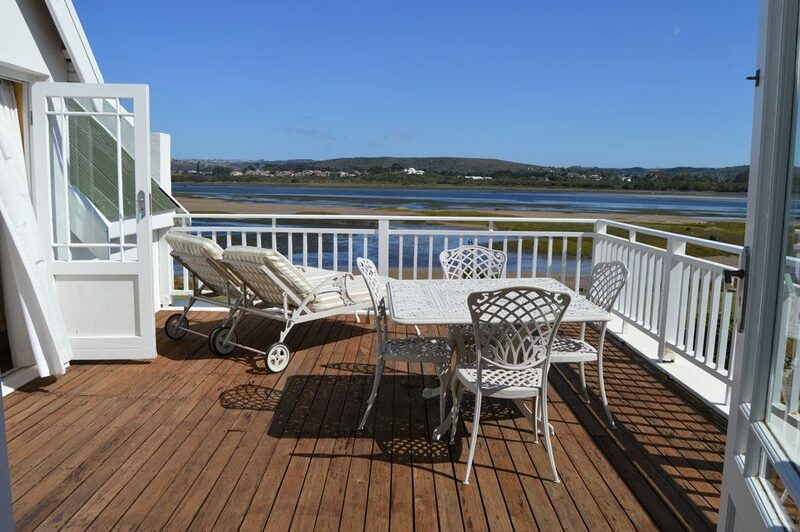 Lovely views from main bedroom. 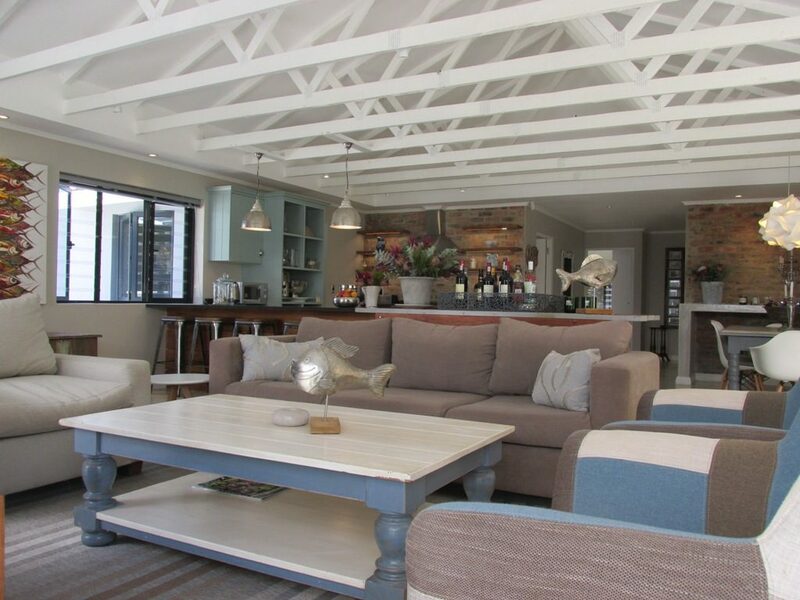 Ceiling fan. 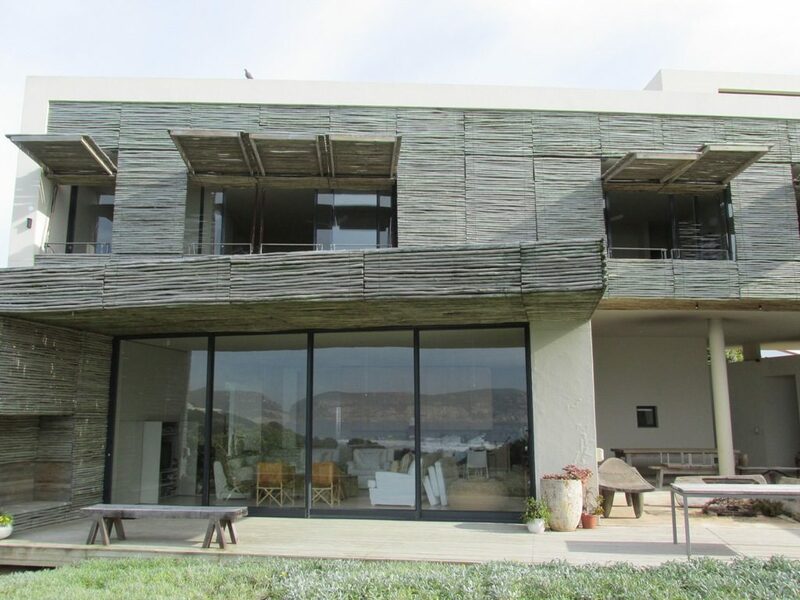 There are aluminum plantation style shutters on the doors. 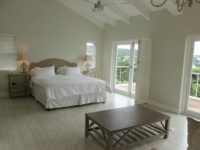 Bedroom 4: X2 Single beds with a fireplace and doors leading to a patio. Dressing room and en-suite bathroom (toilet, bath and shower) This room has aluminum security shutters – perfect for hot summer nights or afternoon naps. 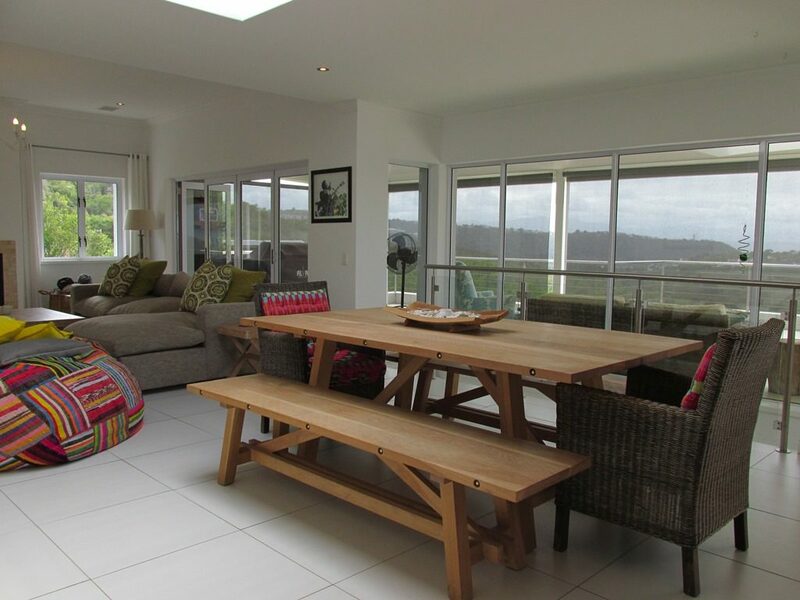 Staff Quarters: Should you require staff quarters – please enquire at time of booking for more information. 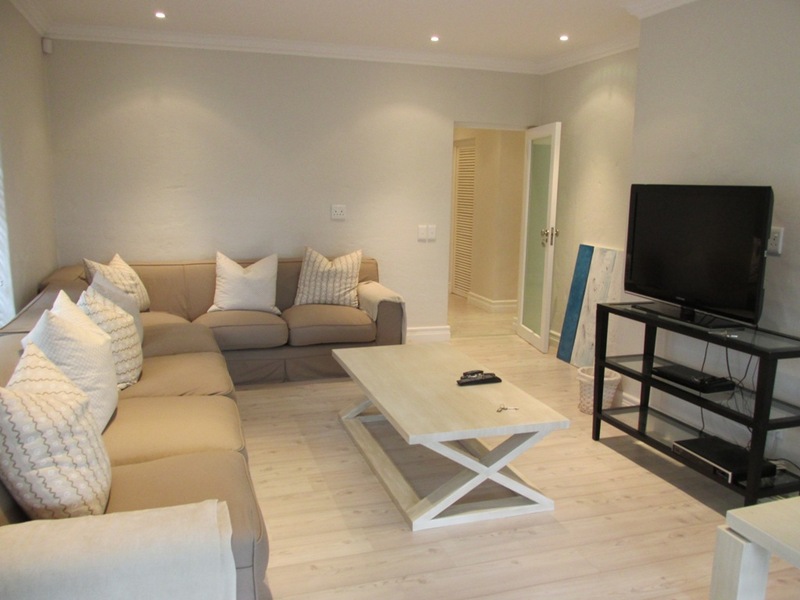 HD PVR DSTV decoder including smart card available & included in rental. 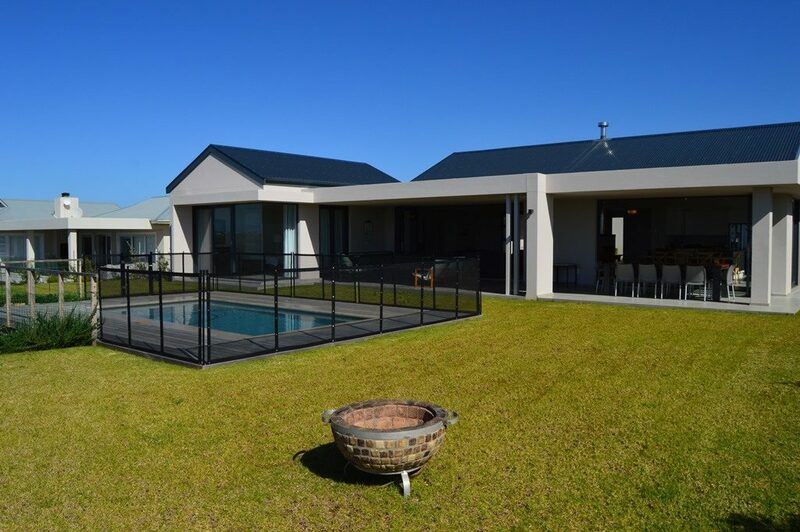 Weber gas braai Braai on patio. 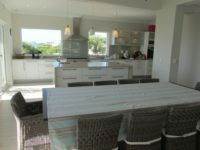 The property is not enclosed/fenced but is connected to an alarm monitoring system.